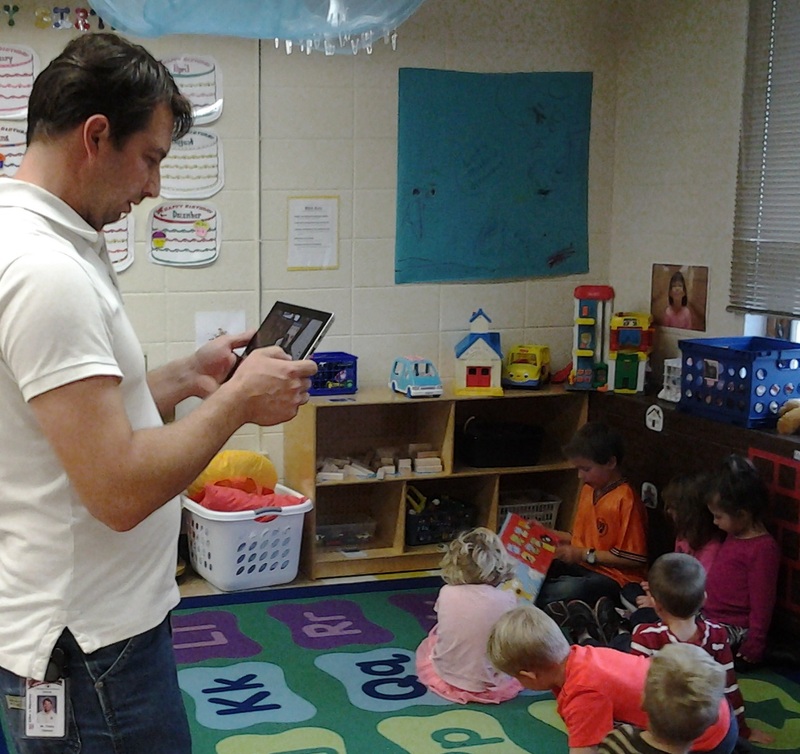 LifeCubby provides documentation and parent communication software services for the early childhood program in the Amery School District in Amery, Wisconsin. The logical place for early childhood assessment is in the family-engagement software... That’s where all the evidence is. It’s 6:40 am at Lien Elementary School in Amery, Wisconsin. School buses have yet to arrive with students, but one wing of the building is already busy with teachers and children. “It’s really quite amazing how quickly it all came together.” That’s Nina Hutton, Director of The Clubhouse Childcare Center. Less than a year ago, the School Board voted to convert a wing of Lien Elementary School into a child care center. Not starting construction until after school ended June 5th, the child care program was completed by September 1st with 5 classes, reconfigured pint-sized restrooms, and an administrative office. Plus a high tech communications system. “We had started using it last year in our after-school program, and this year we transitioned to using it with our infants, toddlers and preschoolers,” Hutton said. The ‘it’ she is referring to is LifeCubby, a communications and documentation platform for early childhood programs and parents. “LifeCubby is like a classroom blog,” said Sue Testaguzza, LifeCubby’s CEO, “where each student has a private folder that only his/her parents can access.” Teachers use the software to document everything from diaper changes and bottle feedings to developmental milestones with photos and videos. The platform has free apps for teachers to use in the classroom and a web version for administrative reporting and planning. Parents can also download free apps or use their account online. “I love having something to check-up on my baby,” said JennaRae Taber, a parent at the program. “It makes me feel better and eases my mind.” Parents can see live data and communicate with teachers in real time. Another parent, Jen Melberg, is also a 2nd grade teacher in the building. “I love LifeCubby,” she said. “I feel connected to both girls while I am away working.” She referenced the benefit of being able to ‘gauge’ what they are doing in school. “Assessments are a key component of LifeCubby,” Testaguzza said. Since teachers are documenting for parents on a daily basis how their children are doing, what they’re learning and their newest achievements, it’s a natural for student assessments to reside there. LifeCubby has had its own line of assessments since 2011, and just released an updated set this year, called The Vine. “We aligned The Vine to the new 2015 Head Start Framework,” according to LifeCubby researcher Laura Poast. “But some states are beginning to mandate their own assessments or guidelines for early childhood,” she continued. “The logical place for early childhood assessment is in the family-engagement software,” Testaguzza added. “That’s where all the evidence is.” So the team at LifeCubby is in the process of adding state-by-state versions of assessments. Long term plans at Amery School District include expansion of LifeCubby for on-boarding students to the older grades. 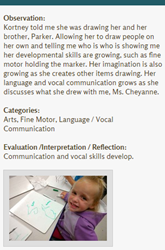 Using LifeCubby, teachers will have access to the children’s early childhood developmental progress. “It tells the child’s edu-biography,” Testaguzza said.